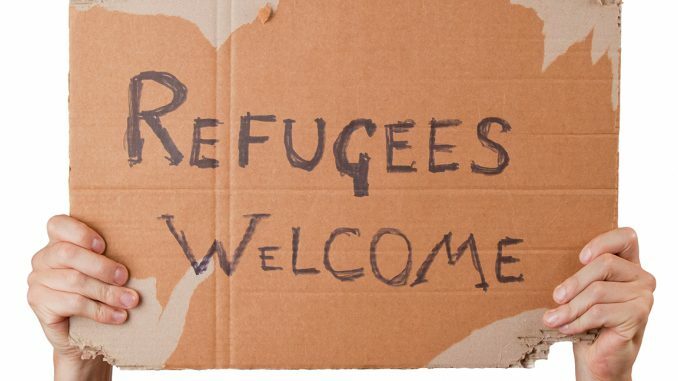 “Refugees Welcome! 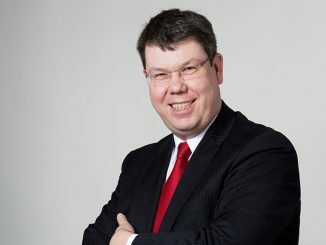 – Universities on the move and changing?” was the title of the spring congress of the Hochschulnetzwerk Bildung durch Verantwortung e.V. 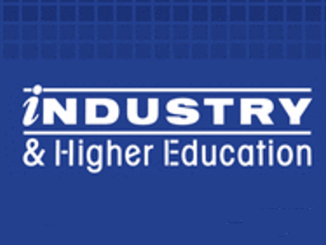 (Higher Education Network Education through Responsibility e.V.) in cooperation with Leuphana University which was held from April 27 to 29, 2016, in Luneburg, Germany. A checklist of ideas of the association (published here on January 15, 2016) already set forth the broad and colorful range of activities that are already taking place at various universities to advance the integration of refugees. Potential imitators may find many good ideas here! Topics include the preparation for studies and access to universities, education and consulting offers as well as practical support, not to forget the research and the discourse on the topic itself. Contents that are suited to promote social commitment at universities in the form of service learning, community-based research or social entrepreneurship education, thus supporting academic teaching, are specifically highlighted here. 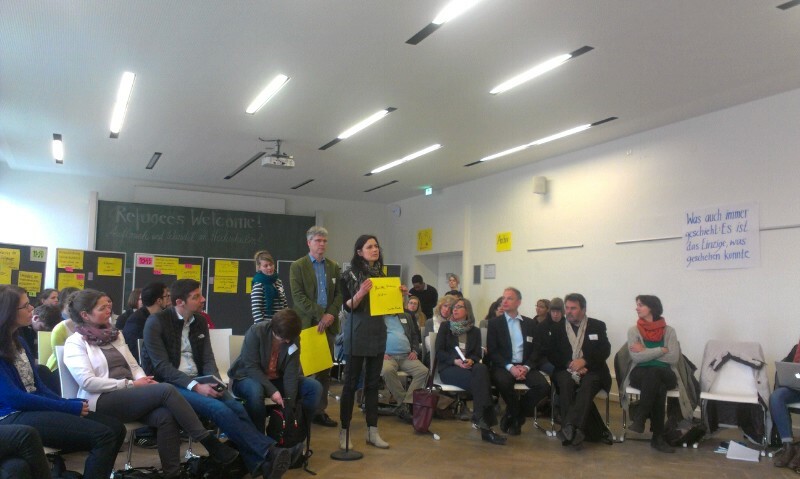 In an open-space program, the congress in Luneburg addressed further aspects of the issue. When thinking of the two buzzwords “university” and “refugees”, voluntary student activities such as sorting aid supplies, setting up beds and accompanying refugees would first come to mind. But activities go far beyond such simple relief work. 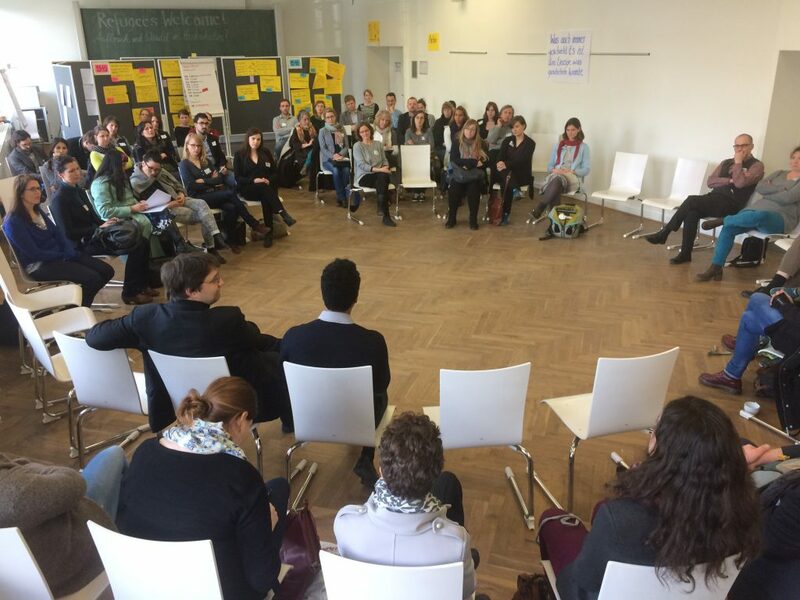 Open Space is a method for moderating large groups that is suited to offer a platform to the issues of the participants, prompting discussions and making results available to all participants in the form of a protocol (please refer to the documentation of the congress). The numerous debates that had taken place in Luneburg were followed up by a round of “action planning”. What can Universities do for the Integration of Refugees? Many of the presented issues originated directly from the activities that student associations or universities are already conducting to promote refugee integration: How can refugees be integrated into specific curricula? How can problems be tackled that refugees might encounter in context with registering at a university or financing their studies? In addition, questions were discussed about the issue itself: How to counter resistance against such integration work? How to cooperate and communicate on equal footing? How to find the balance between subsidizing and privileging? Representatives of Frankfurt’s universities immediately held a round table to plan cooperation and networking on a regional level. With regard to some issues, however, visions for tomorrow’s universities were outlined that – in view of today’s societal developments – are not directly connected to the refugee issue only and therefore point beyond the topic of the congress. In the discussion on “the university of the future”, for example, university was thought of as a “multiversity”: Why study at only one university? Why should universities address all disciplines and not much rather sharpen one specific profile? How come that academic education omits to place personality development and societal commitment in the focus? Shouldn’t the conditions for accessing a university be reconsidered? So-called MOOCs, Massive Open Online Courses, i.e. online courses (mostly) at university level that are accessible to all are one example of this opening of academic teaching. One example is Kiron Open Higher Education. Founded in 2014, this social start-up offers refugees the opportunity of studying online for two years and then continuing their studies at a partner university. If successful, they can achieve a Bachelor’s degree in the third year whereby some of the courses are taken into account for the regular study course after clarifying residence status and other questions. Couldn’t this model be suitable for others, too, who aim to take up university studies? Migration as a university subject? In the discussion group “Refugees and university development”, one thing became obvious from the very start: The activities of universities around the refugee issue brought a glow to their mission statements, setting new impulses for service learning  as well. The issue activates universities and is an opportunity for growing and developing, in particular with regard to the issue of social responsibility of academic institutions. As a consequence, other, less prominent issues could benefit from this development. The question: “What would have changed at universities if the refugee topic were dropped next week?” emphasized the universities’ capacity for progress: Faced with pressing problems and putting in much effort, much can be achieved indeed – many impulses for innovation have already been set. Another discussion group with the provocative title “Migration as a university subject” addressed the question of how to use the skills and competences of refugees for academic institutions. Once again, a whole new view of academic disciplines, a new kind of networking – of disciplines, players, regional groups – brought forth new visions: A vision of a university that is opening up to society, that reacts to societal change, that probes into and experiments new forms and can be used as a laboratory for societal innovation – and that translates societal responsibility from its mission statements into action. Exciting topics, exciting concepts! Service Learning: Specific challenges and problems of civil society and public welfare are treated within the frame of teaching events, using the competences of students and lecturers. This teaching form of Service Learning can be used for all study courses and disciplines. Students benefit from problem- and action-oriented teaching of and immersion into scientific-theoretical contents. 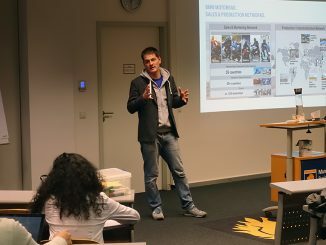 One form of Service Learning at Munich Business School is the social project work in the 2nd and 3rd semesters of the Bachelor International Business study program.